Our classes are set to unique music soundtracks designed to energize, galvanize and inspire! There is nothing routine about these workouts. No workout ruts to fall into. Our studio is geared up to accommodate everyone’s needs at every level. Wearing a heart rate monitor during your class provides a continuous heart rate display that keeps you in check with your training goals! How often have you heard people coming out of a class, dripping in sweat and saying how ‘AMAZING’ the class was? If that's what you're after, we can help to deliver it! After all, the intensity of a class is governed by you – that’s the beauty of heart rate training, you push yourself based on your own goals and motivations. Many of us have goals to FAT BURN and for this you need to be training in the right heart rate zone(s) - called the fat burn zone. 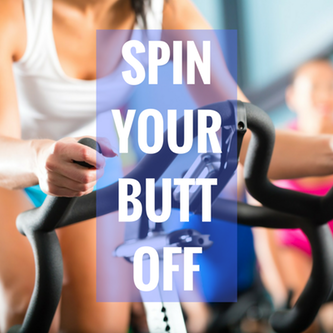 You'll be amazed to learn that your fat burn zone is not really that difficult to get to when on a bike or in the variety of other classes we offer. To keep you in your fat burn zone you'll be given a heart rate monitor with your heart rate displayed on a large screen in the studio. Don't worry, it's totally discreet and no one else knows what your particular heart rate is. We offer our Suunto� Heart Rate monitors and straps for free each session! �Your heart rate correlates directly to your effort and is therefore an excellent indicator of exertion. When the amount of energy you exert increases, your heart rate also increases and vice versa. As you become more conditioned, less effort will be needed to pump blood through your body, your resting heart rate will decrease as will your recovery time (the time it takes for your heart rate to drop after serious exertion). Resting heart rate and recovery time are two key indicators of fitness. So go on, book a class, jump on in and feel the burn! 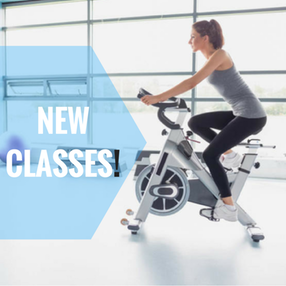 30 days unlimited classes for only �30!